I’ve been in the Software freedom day for the first time. Some of my friends gave a positive feedback about the day and the whole community. My presentation was about: Teaching coding to kids, an option or an obligation. A lot of people found the subject very interesting and they discovered the Scratch programming language for the first time. During the day, they gave 2 awards for the most active community. One was for the INSAT ANDROID CLUB and the other on was for me! I did not expect that at all. 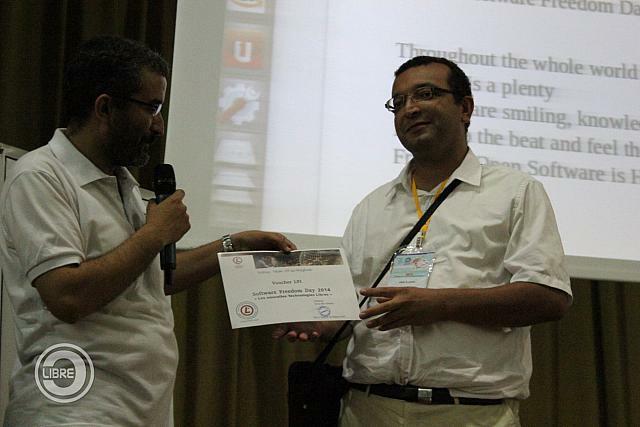 They appreciated my effort to spread coding culture in Tunisia and the workshops made with kids.